If someone were to ask you what your favorite food is, chances are you might respond by saying pizza. For many, pizza is their favorite food – it’s the versatile option for any gathering, can be created in many different ways, and comes in a variety of sizes. Think about it – pizza gives plenty of options. Stuffed crust. Vegetables. Meat. Thin crust. There’s countless scenarios for your dream pizza. If you and your friends are looking for a pizza place near Glendale, you’re in luck. Below, we’ve taken a look at three restaurants you should consider visiting to enjoy a slice of pizza. Keep reading for more information! Rosati’s Pizza is well-known across the country due to its many locations. At Rosati’s, you’ll enter a world filled with all-things pizza. There’s also appetizers such as breaded mushrooms, mozzarella sticks, fried ravioli, and much more. When it comes to pizza, Rosati’s even offers the Chicago Deep Dish pizza. There’s also double dough, thin crust, stuffed, and gluten-free options. And that’s just options for the crust! With a variety of toppings ranging from veggies to meats, you can definitely find a pizza you enjoy at Rosati’s Pizza! 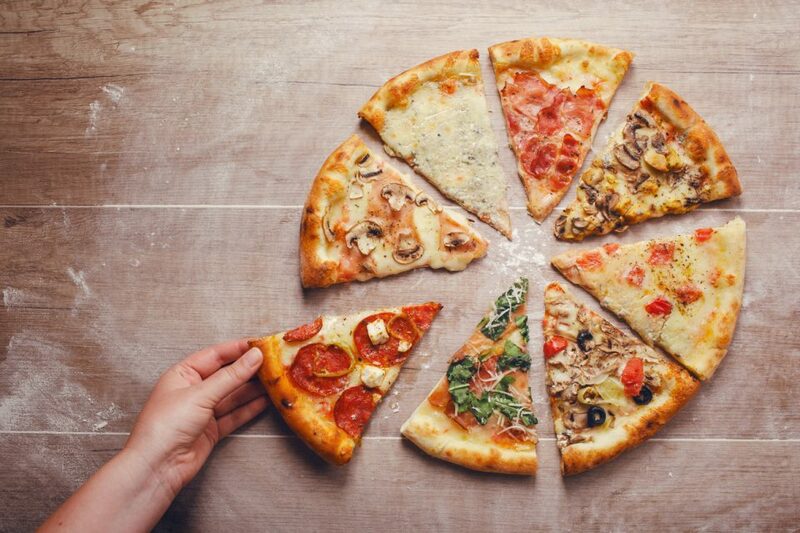 At Pizza Studio, you and your friends make the decisions. Simply create your own pizza and Pizza Studio will make it for you! If you’re feeling adventurous with your pizza options, this is the place to be. Pick your crust, sauce, cheese, toppings, and oils and spices. Pizza Studio allows you to have a personal take on your pizza. Get ready to explore the many options when you visit here! Looking for more than just pizza? At Calderone Club, you’ll find a wealth of Italian-style dishes that are certain to tickle your taste buds. The large menu that Calderone Club has to offer is perfect for you and your friends. There’s plenty to offer which means everyone will find something they love. They also cater, which is great news for those planning an office party or a birthday gathering. While you’re in the area, be sure to stop by David Hobbs Honda. At our dealership, we offer an extensive inventory filled with a variety of vehicles. In fact, automobiles come in countless combinations – just like pizza. Visit us soon to find your favorite ride and see all it has to offer. We are conveniently located at 6100 N Green Bay Ave, Glendale, WI 53209 which means residents of River Hills, Butler, and Elm Grove are just a short drive away. During your visit, our friendly and knowledgeable team members will be more than happy to sit down with you to go over your options and let you take a test drive or two. We look forward to seeing you soon!